Property Division - What Exactly Can be Divided? Property Division – What Exactly Can be Divided? One of the primary aspects of a divorce is property division between spouses. If spouses cannot mutually agree on division of their property and debts during a divorce, the court may assume responsibility of dividing their assets under Illinois Marriage and Dissolution of Marriage Act. Many couples are unclear about laws pertaining to property division in case of separation, and rightfully so. There are two schemes when it comes to division of assets namely community property and equitable distribution. The former allows property acquired during marriage to be split 50-50 while the latter method may not guarantee a 50-50 distribution. In both cases, origin of property is taken into account during allocation process. 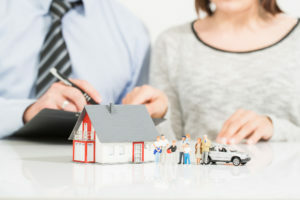 Different states use different statutes pertaining to property division, therefore, courts may choose between community property and equitable distribution depending upon their jurisdiction and applicable laws. What Exactly Can Be Divided? Illinois is an equitable distribution state, thus marital property will be divided equitably and fairly between spouses, although it will not necessarily mean that division will be equal. Firstly, a court distinguishes between separate and marital property during division of assets. Marital property can be defined as all properties that are acquired after marriage while separate property usually refers to property that each individual brings into marriage and keeps in their own name. It may include property that is inherited or received as a gift. Separate properties are distributed between spouses first, only then the court moves on to marital properties. Equitable distribution can be sometimes extremely complex; hence it can be difficult to substantiate claims of spouses due to vague and inexplicit laws. Thus, it can be extremely beneficial for your case to acquire services of an experienced divorce lawyer. Your attorney will ensure that your rights remain protected throughout the divorce process. Using their extensive financial knowledge and understanding of law, a skillful divorce lawyer may be able to negotiate a better settlement offer which may help you avoid a tedious and stressful trial. Different elements such as debt, business assets, and private possessions may also impact the property division, hence having a seasoned divorce lawyer will ensure that mediation does not put you at disadvantage by devising a solid claim in your favor. For further information about issues pertaining to property division or to schedule a free consultation, contact Law Office of Fedor Kozlov at (847) 241-1299 to speak with an experienced asset division lawyer on this topic.